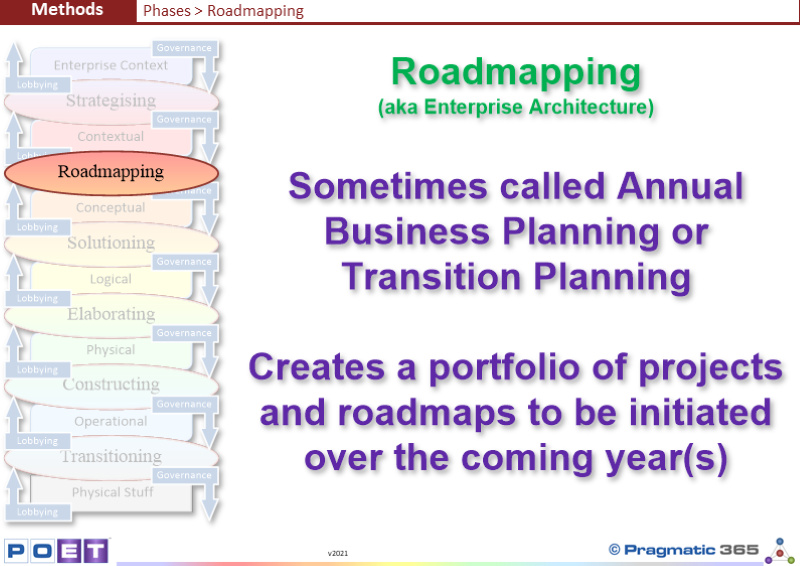 Does your Enterprise recognise Roadmapping as a phase? Does your Enterprise recognise how this work it fits into the whole Transformation domain? If not, how does it make sure that it works coherently with the phases around it? What does your Enterprise call this phase? Who in your Enterprise is accountable for this work being performed? Who do they hand the output of their work over to?